Should Faculties of Education be the drivers of the 21st Century Learning revolution? Welcome to the MindShare Learning Report 21stCentury EdTech Leadership Summit future vision holiday edition. The post MindShare Learning EdTech Leadership Summit survey yielded excellent and most inspiring feedback from both our delegates and presenters. So what's next you ask? An eBook on the proceedings is in the works. I'm pleased to announce the creation of the MindShare Learning 21st Century Canadian Schools Network -- A collaboration of education and industry leaders who embrace innovation and student success. In the coming weeks we will refine our mandate in building a community of innovators who are committed to transforming learning through research, pilot projects, professional learning and lobbying governments. Mark November 1, 2011 in your calendars for next year's Summit! It's not surprising that 85% of respondents voted in favour of the following poll. 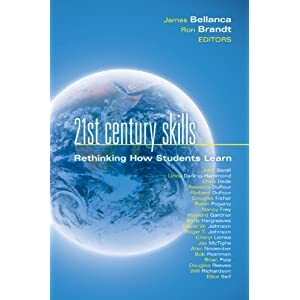 Does Canada need a national 21st century skills framework to prepare students for the global knowledge economy? We will be sharing this and our Summit findings with the Council of Minister of Education, Canada. Speaking of 21st Century Learning--the countdown continues! There are only 17 days remaining for teachers and students to enter and qualify to WIN over $50,000 in prizes in the MindShare Learning 21st Century Digital Classroom National Video Contest. Congratulations to Redwood e-Learning Systems on Another Gold Award! eLearning enrolment in Canadian post-secondary institutions jumps 21%. Congratulations to Karen Branscombe, Superintendent, NB School District 02 (Moncton, NB) and Kathy Okpik, Deputy Minister of Education, Government of Nunavut, who were both recently selected among Canada's Top 100 most powerful women -- Cisco Public Sector Leader Award category -- Women's Executive Network. As always we encourage you to share your success stories, news and events. Please don't hesitate to contact me via robert@mindsharelearning.com. Wishing you and your family a safe and happy holiday season! Until next time, here's to keeping the learning curve steep for 2011! MindShare Learning is pleased to welcome the National Film Board as a new client on the strategic EdTech services side of our business. Special thanks to our generous sponsors who help make this publication possible and a warm welcome to MediaX Systems who joins our sponsor line-up this month. 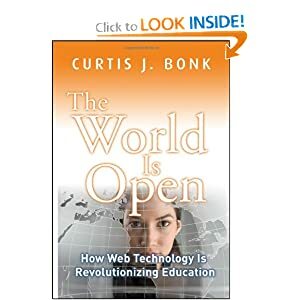 "With full recognition that entrepreneurial activity and education do not share the same ideals and values, I find the need for innovation in education to outweigh this conflict." "The Harper government has a clear vision of what Canada can achieve," said Minister Clement. "By 2020, we see a country that boasts a globally competitive digital economy that is driven by innovation and enhanced productivity and generates enduring prosperity." "The best leaders love to learn. And the greatest organizations are learning enterprises - places where ideas are the currency of success. Yet, so many amongst us resist learning and embracing the new ideas that change brings with it. The deeper question is why?" The federal government plans to inject $275.6 million into science and technology research to help place Canada among the leaders in university research and development. The Canadian Space Agency (CSA) is awarding two contracts valued at $11.5 million each to MDA and Neptec Design Group of Ottawa. Dell announced today its commitment to give $10 million in cash and Dell technology towards education technology initiatives in 2011 in connection with the United Nations Private Sector Forum on the Millennium Development Goals. Linking students with astronauts in space and campers with campgrounds through an online service earned the Alberta government two top awards at the Government Technology Exhibition and Conference (GTEC) in Ottawa. Get premium interactive whiteboard quality and functionality at a fraction of the price. The Epson BrightLink Solo is an interactive module that connects directly to your computer, via a USB cable, and works with new or existing projectors. Each year, Microsoft brings together educators from around the world who are passionate about enhancing student learning and collaboration through innovation. School District 43, which serves the Tri-Cities region of the Lower Mainland, is facing a problem that could be coming up in districts country wide: Internet resources are dwindling, because students are using it so much. On the eve of a pivotal academic year in Vishal Singh's life, he faces a stark choice on his bedroom desk: book or computer? The ECOO conference provides sessions for everyone from a beginner user to the computer expert. All levels of education, from pre-school to post secondary are covered. The conference featured over 200 presentations by leaders and local experts. international vendors, highlighting new products or services for teacher and student use. This year's ECOO conference in our estimation was one of the best ever. Congratulatioins to the organizing committee for raising the bar to engage many new teachers and returning teachers with excellent sessions and keynotes. Speaking of which, our next issue will feature two keynote interviews. Stay tuned! I've come to a realization upon reflecting on our MSL 21st Century EdTech Leadership Summit and the other 10 or so conferences I attended this fall; I'm a self-confessed lifelong learner. I thrive on the energy and the knowledge sharing from being surrounded by thought leaders. Upon further reflection of the past array of conferences, I've come to the conclusion that the 21st Century killer app is quite simply--lifelong learning. Have you ever asked yourself why it is that some people just choose to stop exploring, growing, learning and living? Ok, at the risk of being simplistic, my grade 12 teacher, Mrs. Fogarty wrote in my yearbook, "the only sign of life is growth." I challenge you to share this with your students, peers and colleagues. This simple, yet poignant statement proved to be a guiding principal that was life-changing for me. Perhaps we'll meet up at a conference near you soon! R.M. Robert Martellacci, President & Publisher of the MindShare Learning Report has a MindShare Learning moment with Shann McGrail, Education Director for Microsoft Canada at the fall Microsoft Connected Learning Conference 2010 in Toronto last month. STEP is a club run by students at the University of Waterloo to promote and raise awareness about renewable energy on campus. prestigious award Saturday for helping solve environmental problems through science. The Dell Streak is a piece of hardware with an identity crisis: Is it a smartphone with a big screen, or a tablet/pad with a small screen? That was my question before I took possession of the diminutive device, and to be honest, I was quite surprised by how usable a device the Streak could be, especially in the classroom. When you think of the various small screened devices that students used today to play games then the size of Dell's entry-level tablet/phone is not a stretch if you wanted to consider it for a classroom context. My only question would be the cost factor given that you can purchase an entry level iPad for about the same price. And RIM is reportedly going to offer their Playbook for less than $500.00 as well. So what's the catch? Read on to find out what I think Dell was up to when they introduced this very well designed and extremely durable small but big smartphone. I'm not sure why Dell decided to name their new 12. 7cm (5") tablet/phone Android-powered device the Streak. It could be because of the speed at which this device works, albeit partly because it's running Google's latest incarnation of their very ubiquitous mobile operating software, Android. And Android is definitely fast and becoming ever-more popular among smart phone users. Android is intuitive, powerful and open source which means it benefits from a myriad of programmers tweaking it for the many - definitely a powerful way to go, though some might argue it belies some standardization that many developers prefer to work with. This mini-tablet hybrid device works well with Android and given that the Android marketplace is growing leaps and bounds with new apps every day you can't help but agree with Dell's logic to run this device on this extremely powerful OS. Paper.li organizes links shared on Twitter into an easy to read newspaper-style format. I really like that you can create a paper.li for hash tags as well. Very useful for events with specific hashtags and topics where you want to collect all of the comments or insights into a newspaper format to be read at a later time. A social graph network which seeks to solve the privacy issues Facebook and other social networks are plagued with. Share what you want, with whom you want. OpenTok is a free set of APIs from TokBox that enables websites to weave live, group video communication into their online experience. With OpenTok you have the freedom and flexibility to create the most engaging web experience for your users. Every day, millions of people seeking answers, advice, assistance, support, supplies, services, volunteers, wisdom or just a helpful conversation turn to the internet, ask a question and get bupkis. Replyz helps people tap into the real-time stream so they can ask questions from anywhere, get replies in real-time and join conversations that matter to them. The result is a better chance of getting replies to your questions. Leadership has nothing to do with the title on your business card or the size of your office. Leadership is not about how much money you make or the clothes you wear. Leadership is a philosophy. It's an attitude. It's a state of mind. And it's available to each one of us. Vodcast Interview with Miguel Nussbaum from the Catholic University of Chile in the halls of the Quest 2010 Conference in Toronto, ON. Miguel Nussbaum is full professor for Computer Science at the School of Engineering of the Catholic University of Chile. He obtained his Electrical Engineering degree from Universidad Cat�lica de Chile in 1980, Master of Science in 'Information and Computer Science' from Georgia Institute of Technology, Atlanta, USA in 1984, and Doktor der Technischen Wissenschaften from Eidgen�ssische Technische Hochschule (ETH), Z�rich, Switzerland in 1988. He has been or is member of the board of the Chilean National Science Foundation, FONDECYT, member of the Education committee of the Fund for the Promotion of Scientific and Technological Development of Chile, FONDEF, member of the "Interim Scientific Advisory Board of the UNESCO Forum on Higher Education, Research and Knowledge", winner of the Innovation in Education for the Americas of the Organization of American States in 2004, and was considered as one of the 50 innovative Chileans of 2007. Kevin Parry was one of six young animators chosen to participate in a Master Class with the legendary filmmaker, Tim Burton, at the TIFF Bell Lightbox earlier this week. An annual survey of 2,600 higher-education institutions indicates that enrolment in online classes has grown 21 percent in the last year. History and Technology: What are the implications? Lecture by University of Ottawa's Stephane Levesque. Dr. Mark Morton, Senior Instructional Developer (Technology), Centre for Teaching Excellence, University of Waterloo explores the many pedagogical uses of today's emerging technologies. Wikis, blogs, iTunes U and much more. Last year more than 350,000 people tuned in to watch university basketball, hockey, soccer and even volleyball. Canada has a young community of cutting-edge leaders, doers and deep thinkers from many different disciplines. We are known internationally for our thriving community of thought-leaders, breakthrough innovation programs, advocates, and visionaries. These individuals are exploring the social impact of new technologies, the forces of change shaping our future, and new approaches to solving the world's most significant challenges. The United Nations designated 2010 the International Year of Youth in an effort to harness the energy, imagination and initiative of the world's youth. One of key areas of focus the UN built into its framework, is to create awareness of youth development and recognize their contribution to national and community development. In light of this initiative by the UN, now the tail end of the year 2010, I would like to offer a few exemplary Canadian youth. These individuals are not directly involved with the International Year of the Youth, but, share the same values and mission; investment in youth, entrepreneurial leadership, engagement and education. Entrepreneur Natalie MacNeil and her website, She Takes On the World, has been named one of the 10 Best Sites for Women by Forbes.com and a Top 100 Websites for Women by Forbes Woman. Sol Guy, advisor for Manifesto Community Projects: "a non-profit grassroots organization working to unite, energize, support and celebrate Toronto's vibrant and diverse music and arts community, and find innovative ways of working together towards common goals." Guy is also K'Naan's manager and co-creator of 4REAL School. Thought leader Sol Guy spoke at TedxToronto. "4REAL School offers students a powerful curriculum elaborated through meaningful and aesthetic images and music that excite students about their learning." - Peter Gouzouasis, Professor, UBC Department of Curriculum and Pedagogy. Cory Monteith, best known as the star of the hit TV series Glee, is a passionate ambassador for Virgin United RE*Generation movement. Monteith hit YouTube to help stir the grassroots movement dedicated to helping homeless and at-risk youth. With technology becoming more and more intertwined in Canadians' everyday lives, supporting digital skills development will be key to our future economic success. For years, we've been hearing that the future of productivity is in the cloud. But while visions of real-time collaboration leave technophiles like me starry-eyed, it's a prospect that means one thing to millions of people: leaving the familiar turf of Microsoft Office 2003 or 2007 so that they can learn their way around yet another application, not to mention some pricey upgrades. Learn how students at �cole primaire St. James use Epson BrightLink to enhance the classroom experience. According to a new report released by Project Information Literacy, college students do not know how to research correctly. Statistics Canada is undertaking this survey to provide useful statistical information on strategic decisions, innovation activities and operational tactics used by Canadian enterprises. What an amazing month of professional learning November proved to be. I think I counted a dozen conferences that I could have attended across Canada. I think I made it to eight and we proudly sponsored several. November truly should be designated PLN month! I'm impressed by the dedication and passion amongst education and industry professionals in support of student success that I see on a daily basis, despite the many challenges that they face to "Make IT happen." With the digital convergence in education reaching a tipping point, the EdTech space is definitely a hot sector and with an increasing number career opportunities crossing my digital desk. I was intrigued by professor George Siemen's recent blog suggestion that there is a shortage of entrepreneurs in the EdTech space.....The urgent need for education/learning tech entrepreneurs. Surprisingly, there appears to be a lack of skilled people in our space based on the many conversations I've had this past year. Hence, we're considering expanding our services to help fill the void in the market. Perhaps there's a role for university level programs in faculties of education where they could offer an EdTech entrepreneurship program stream. Farewell to MindShare's good friend, Geoff Jopson, Superintendent of Schools West Vancouver School District. You can contribute to Geoff's legacy fund to enhance music education in West Vancouver Public Schools. For more information, sd45.bc.ca. Incoming Superintendent, Chris Kennedy recently hosted TedxUBC. Here's a TedxUBC Video - Chris Kennedy - Students Live! Real-world Learning at 2010 Games. Tey Cottingham of the National Film Board shared that she's off to the BaKa FORUM 2011, Jan 27 - 29, in Basel, Switzerland to serve on a judges panel. MindShare Learning advisory board member, Dr. Ron Owston of York University's Institute for Research on Learning Technology is off to the World Innovation Summit for Education (WISE) 2010 in Qatar next week. 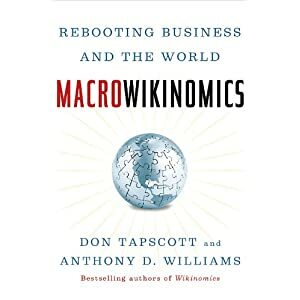 I'm looking forward to my podcast interview with Don Tapscott, who recently released a new book Macrowikinomics and keynoted at the Quest conference at YRDSB last month. SMART Technologies Reported Second Quarter 2011 Financial Results Revenue of $222.7 million, up 25% year-over-year. The IWB space remains hot! Speaking of SMART, Michael Ward recently became the proud father of a bouncing baby boy. Thanks to his colleague, Giancarlo Brotto for sharing! Terry Anderson from Athabasca University along with Lynn Anderson announce the release of a new book Online Conferences: Professional Development for a Networked Era. The book is available from IAP publishers for $39 and for a free preview at Google Books. OECD and other global economic and social think tanks have identified 21st-century competencies, such as creativity, innovation, collaboration, and digital competency, as skills people will need in the knowledge economy. Canadian Ministers via CMEC are exploring how learning models incorporating these competencies can contribute to Canada's education systems. My twitter query about Canadian EdTech Rock Stars yielded...@chrkennedy @gmbondi @bryanhughes @audreyvan @davidwees @zzsu courtesy of @TEDxUBC. Please keep me posted on your latest happenings! Cheers, R.M.